PolicyWorks continues to work with state vocational rehabilitation agencies to design and implement peer mentoring programs in their state. PolicyWorks is currently expanding from the original three pilots in Florida, Mississippi, and Alaska. We are working with nine additional states that include: Maine, Virginia, Maryland, Missouri, Michigan, Arkansas, Nebraska, Oklahoma, and Washington. 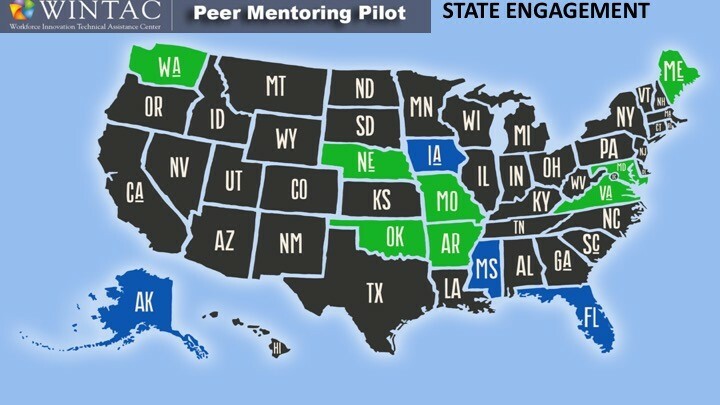 In early January, PolicyWorks conducted its first Community of Practice call on Peer Mentoring and the call attracted 63 participants representing 25 states. We will continue to work on developing support for states who want to develop peer mentoring programs to help young people transition to jobs and careers.